We couldn’t keep our calm when Deepika Padukone stole all the limelight during IIFA 2016 with her stunning emerald jewellery. And then, Anushka’s choker neckpiece in the music video of Jagg Ghomeya from the movie Sultan! Bollywood celebrities are always copied be it real life or reel life for all their fashion and trends they bring. 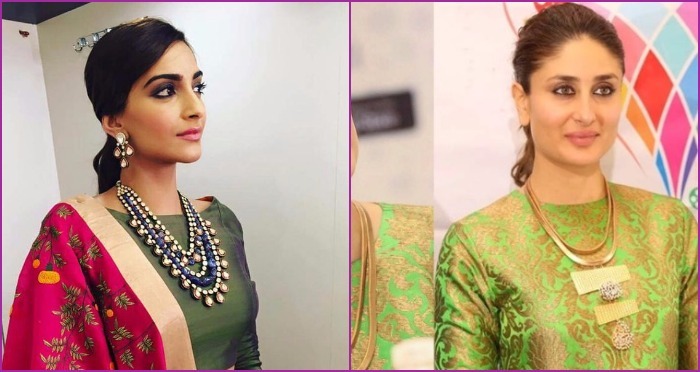 B-town celebs are too good be it, carrying those antique jewellery like in Bajirao Mastani or just so traditional like Sonam Kapoor in Amrapali jewellery, we are really loving all of them. Also Read: Deepika at Lakme Fashion Week Winter Festive 2016 Grand Finale Looked Awesome! The leggy lass has secured her first place on the list if we talk about popularity and fashion sense. And the type of jewellery she adorns, speaks volumes about her persona. She is fond of subtlety and doesn’t like things to be too loud. She’s rarely seen wearing neckpieces. You can check her jewellery sense. Her choice of earrings tells a lot about her personality. The now-international icon is fond of subtle simple diamond jewellery. Whether it was at IIFA 2016 or Oscars 2016, she is seen donning with studs and stones. 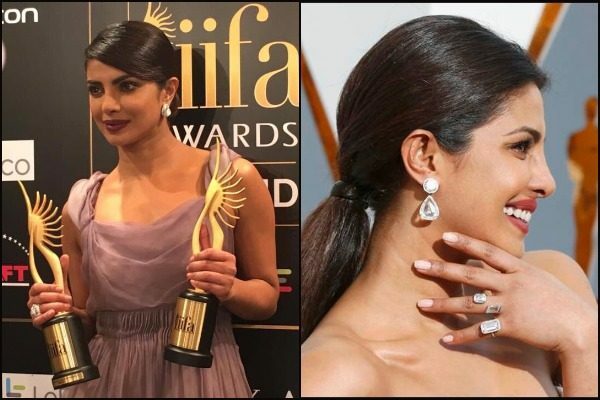 Priyanka’s dainty earrings and rings which are crores worth rolled everyone’s eyes. The Quantico actress likes to keep things simple but classy. Look at the Sultry Queen slaying the ethnic look in heavily-embellished Anamika Khanna costume and that oxidized choker. She is one of the most talked fashionista around the globe. We are amazed how her jewellery designers strike the right chord with her and turn her into a Golden Goddess. At Cannes 2016, she wore those jhumka’s from Kalyan Jewelers. Also Read: Pictures of Kareena Kapoor Khan Before and After LFW2016 Walk Will Astound You Even More! To-be mom Kareena Kapoor Khan is one of the most followed trending Bollywood actress. The Punjabi Kudi is beyond perfect and giving us major fashion goals with her glowing pregnancy. She is just too good at picking the right attire and the awesome complimenting jewelry. We can credit her wardrobe for such a phenomenal jewellery sense. But it takes something within you to flash such loud neckpiece yet, being elegant. Payal Khandelwal’s Indian outfit with the perfect jewellery and subtle makeup..hhmm! Sigh!! Now, when we someone utters Katrina, we can’t resist but hum to the tunes of Kaala Chashma. I am not sure if this beauty queen is just getting better after her break-up…lol. We all know how classic and coordinated her dresses and jewellery are. She likes to keep her necklines bare, but it’s the earrings that make a statement for her. She knows how to strike a perfect balance between her clothes and jewellery. Next : What! 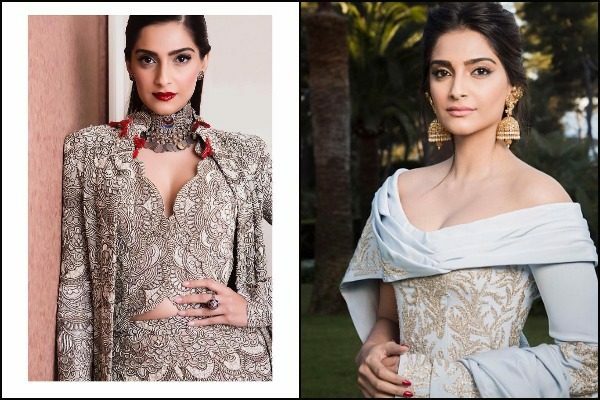 Is Sonam Kapoor Dating This Delhi Based Businessman?